Following her appearance on Stephen Colbert, Emma Stone hit the pink carpet for the season 1 premiere of 'Maniac' at Center 415 last night(September 20th) in New York City. You may be surprised to see that once again, Emma ditched wearing Louis Vuitton for GIVENCHY. 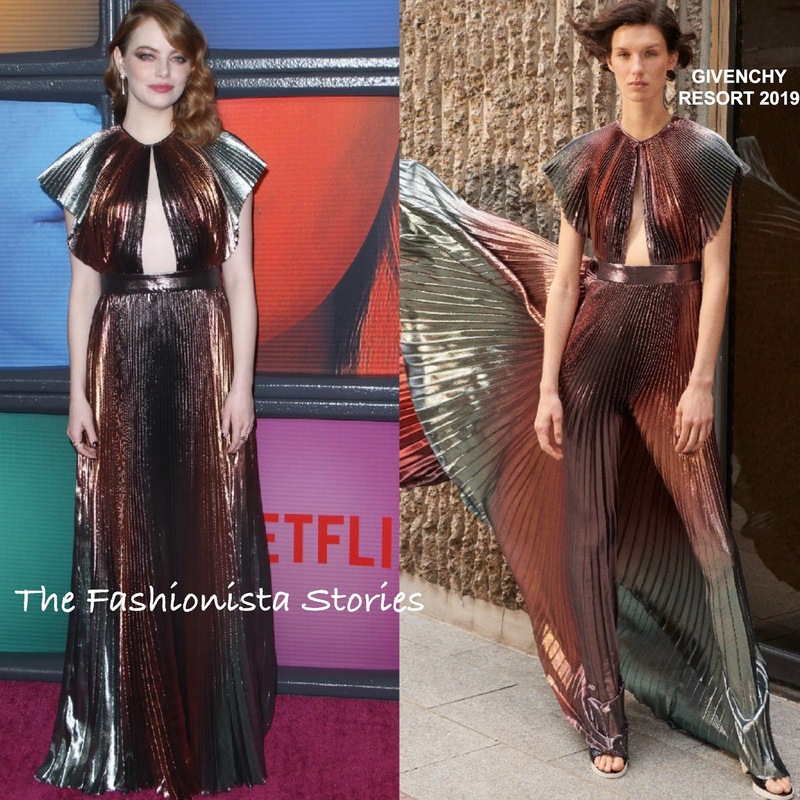 She wore a RESORT 2019 copper & silver pleated metallic, floor length dress, featuring flutter sleeves, a long key hole bodice and nipped waist. From a distance, I am not loving her shimmery smokey eye but close-up, it looks beautiful. Accessorized with BULGARI jewelry, she finished up her look with side parted, gorgeous waves.